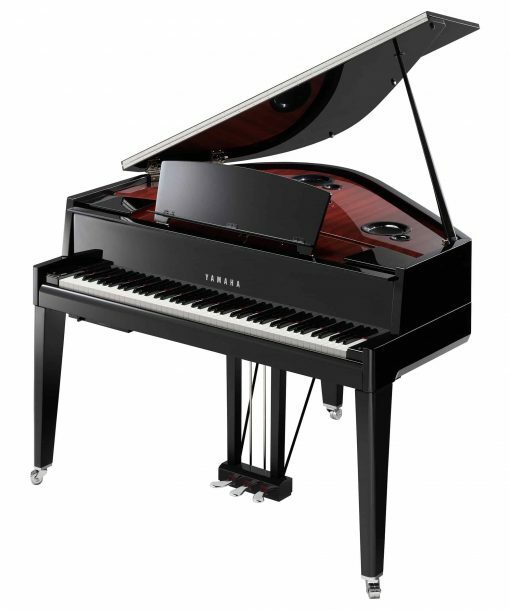 The Yamaha AventGrand N3X has the authentic response, feel, and the sound of an acoustic piano in a digital cabinet carefully engineered to provide the most realistic grand piano experience available. MSRP – $22,199 On Sale! Contact us for Pricing! Real Wooden Keys with comfortable touch and Ivorite® keycaps that look and feel just like natural ivory. 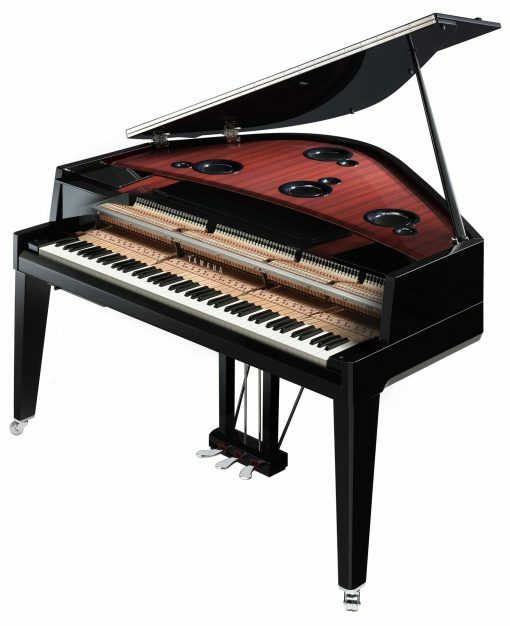 Key Action and Hammers Replicates Concert Pianos. 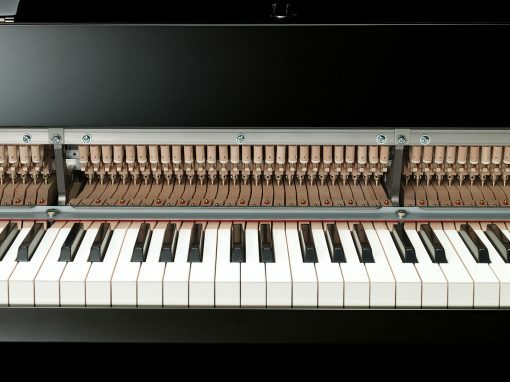 Keys of the Yamaha AvantGrand N3X use a combination of actual hammers hitting virtual “strings” and optical sensors that capture the timing, speed, and depth, for a key feel engineered to be precisely that of Yamaha’s esteemed concert pianos. Experience the same precise weight, responsiveness, and scope for expression. 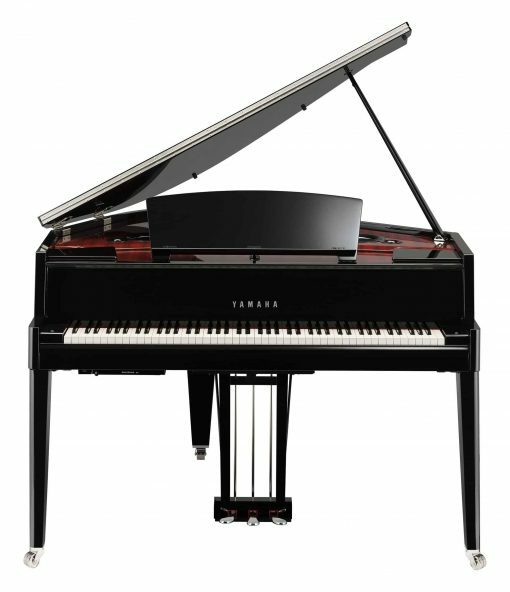 The Sound of the Finest Concert Grand Pianos – Sound for the AvantGrand N3X sound is sampled from two of the finest pianos in existence: Yamaha’s legendary 9’ CFX concert grand and the legendary Bösendorfer Imperial. 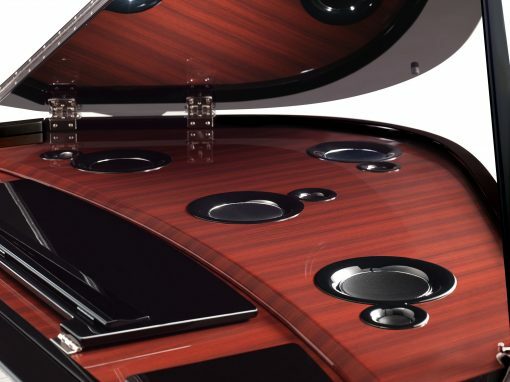 4-Point Spatial Acoustic Speaker System. 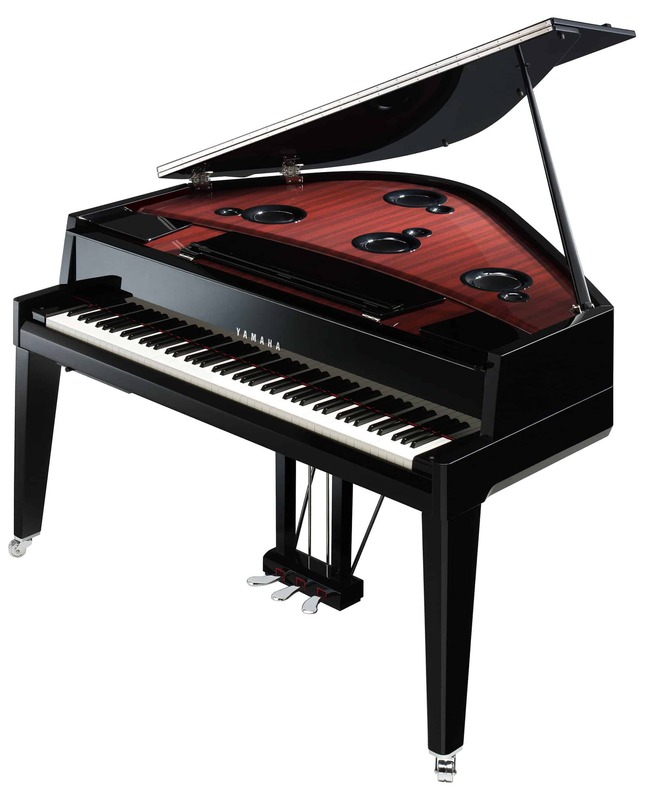 The sound sampled for the Yamaha AvantGrand hybrid piano wasn’t just taken with traditional left-and-right recording. 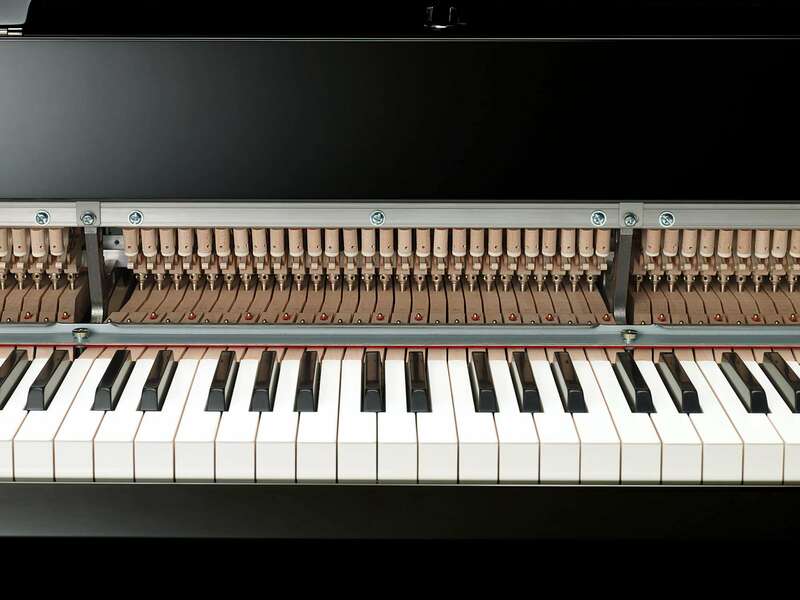 Recorded sounds for the AvantGrand were taken from four different positions across the soundboard: left, right, center, to more perfectly emulate the rich tones from two of the best pianos in the world. The AvantGrand N3X speaker placement mirrors these four recording positions to deliver a faithful recreation of the original instruments. 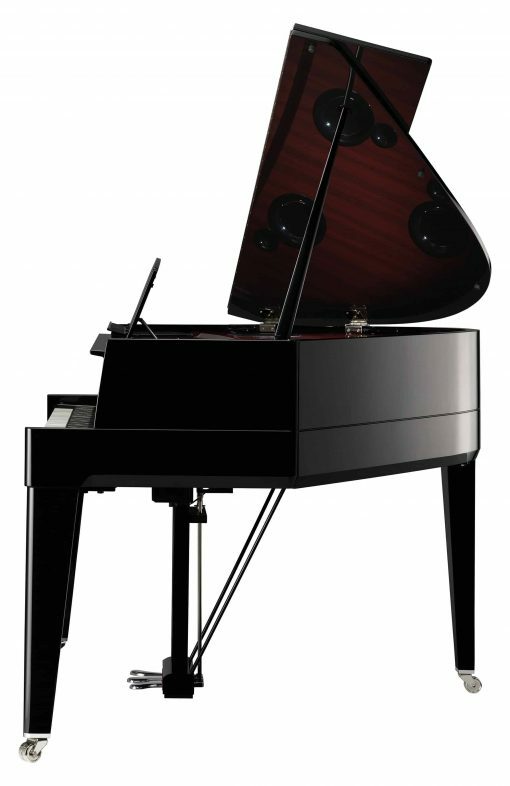 Virtual Resonance Modeling (VRM) – To reproduce the rich, deep reverberations of the two iconic acoustic concert grand pianos, Virtual Resonance modeling uses calculations of string state, timing, damper pedals pressure, and resonance from the soundboard, rim, and frame from one instant to the next. This technology allows the digital piano to provide a vivid, bright, and rich voice.